The Sea to Summit Sigma Cookset 2.2 is ideal for anyone who can take a little more with them on vacation: canoeists, kayakers, cyclists, motorcyclists and everyone on more wheels. 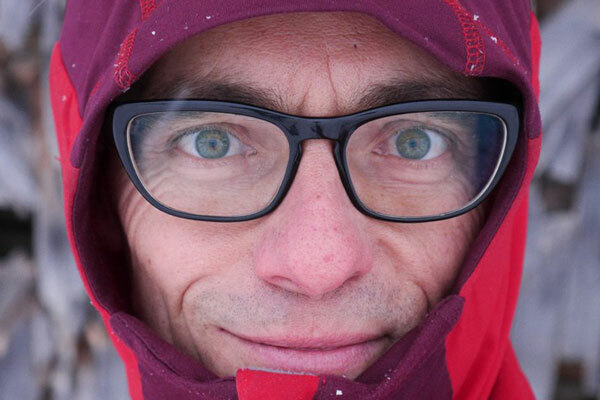 And for backpackerthe little brother – the 1.2 – fits best in a backpack. 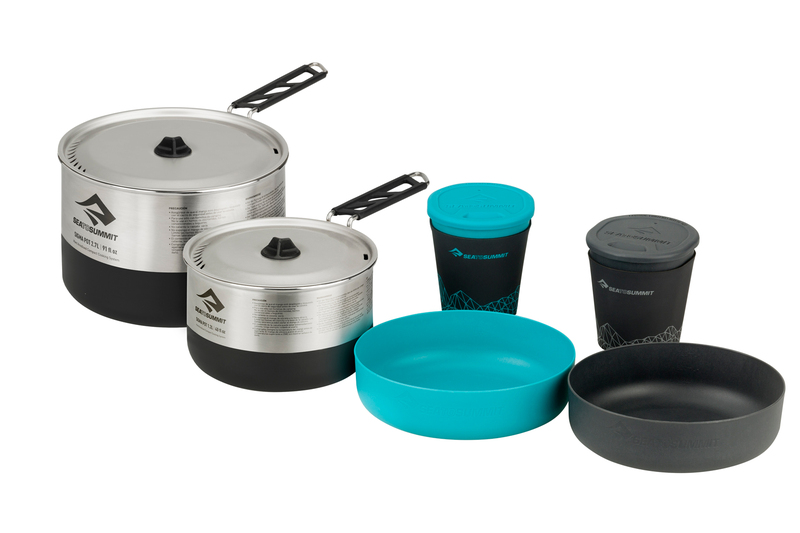 The Sea to Summit Sigma Cookset is ideal for anyone who can take a little more with them on vacation: cyclists, motorcyclists and everyone on more wheels. And the little brother – the 1.2 – fits without problems in a backpack. 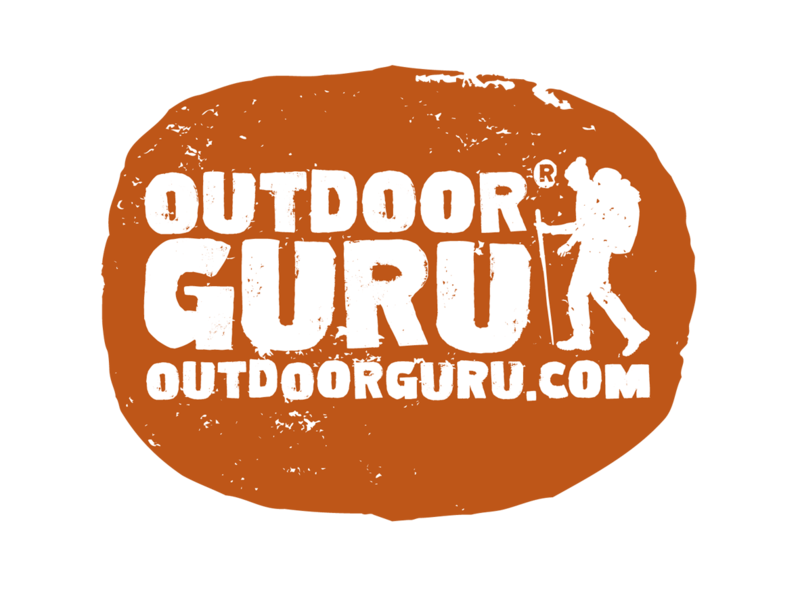 The Sea to Summit Sigma Cookset consists of two Sigma Pots; one of 1.2 liters and a 2.7 liters and also two lightweight, BPA-free bowls and two insulated cups. The Sigma Pots are made of stainless steel and therefore very strong. Thanks to a special process, the pans are light as a feather, and that is special for a stainless steel pan. The underside of the Sigma Pot have got a textured base so that it has more grip and does not slip away from the burner. An additional advantage of stainless steel is that you can easily clean the pans and that they are less sensitive to scratches. 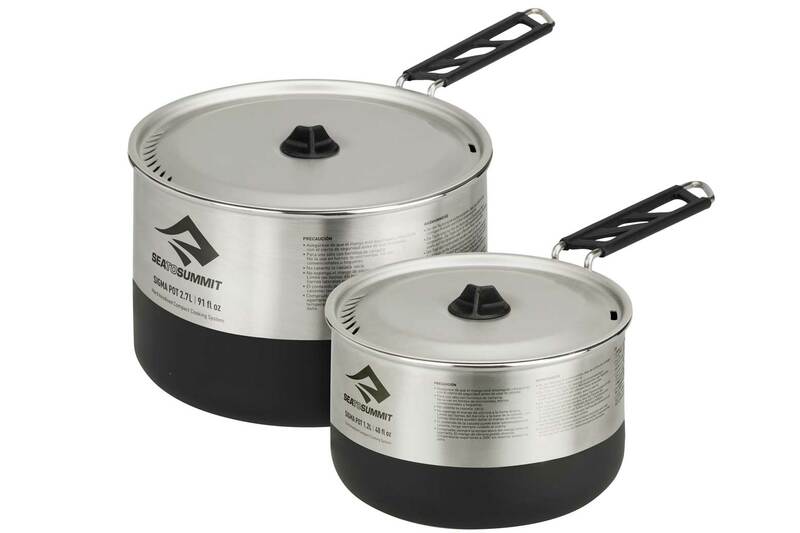 The Sea to Summit Sigma Cookset consists of two Sigma Pots; a 1.2 liters and a 2.7 liters. The lids of the Sigma pots also serve as colander and can easily be hung on the pan thanks to a smart clip while cooking. The cookset-design is made in such a way that the pans fit together easily, so that you set off with a compact set. With the Pivot-Lock you rotate the handle horizontally and you secure the lid securely for transport and also when pouring out liquid. The Sea to Summit Sigma Cookset 2.2 has a suggested retail price of € 99.95. The lighter and more compact Sea to Summit Sigma Cookset 1.2 has almost the same functionality.